This is arguably the most well known right and yet it is one of the areas where many people get themselves into trouble. A case against you may be won or lost based on what you say to the police officer. Speak as little as possible. “Sure, officer” is all you need to say as you comply. Questions like “do you know why you were stopped?” are designed to get you to admit guilt. Do not answer them. While there is no set length of time for a traffic stop; however, an officer cannot prolong your detention beyond the time they need to perform registration checks and other basic tasks. You should not consent to a search, even if they threaten to bring in the K-9 unit. Among the reasons to refuse a search is the fact that you have no control over your vehicle at that point. The fourth amendment offers you protection from a search of your home, vehicle and your pockets. If they cannot see an illegal object in your car, they cannot legally search it without a warrant. 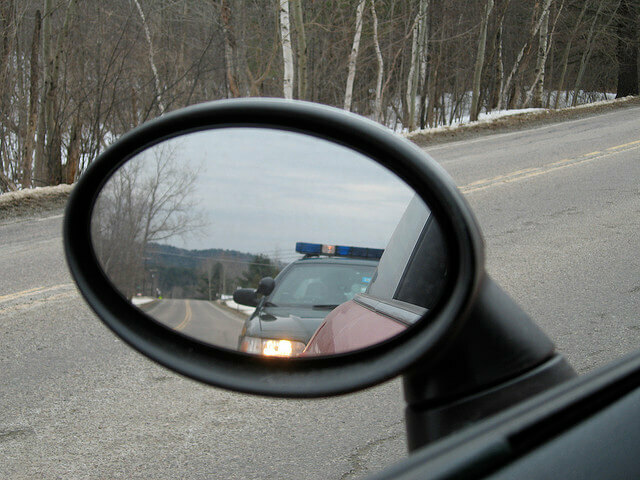 They need a reasonable suspicion that you are involved in criminal activity; note that sudden furtive movements after being pulled over can give rise to that suspicion. Note also that if there are any illegal objects in plain sight, they can open the door to seize them. If they see any other illegal items while in your car, they can seize those too. Bear in mind that if the officer has a warrant, you have to allow them to search. Even though a police officer may be filming the traffic stop using their dash cam, the first amendment gives you the right to film it as well. You should make sure that in the effort to film the traffic stop you do not stall or interfere with the officer or you could be arrested for obstructing them. Along with recording the traffic stop itself, you may also request and record identification information from the officers present. In many cases, this will not be a good idea since some states will suspend your license for refusing. If the police officer suspects you of drinking, then they have probable cause and can be taken back to the station to be tested. While traffic stops can be stressful, it is essential that you remain calm at all times and do your best to cooperate. Remember, you do have to pull over when directed to do so but you are also protected by the law.